Slush is a startup and tech conference organised annually in Helsinki, Finland. Last year Slush took place 30 Nov - 1 Dec 2017. The event which was established in 2008 by a few techies and game producers, has grown to a huge international event, from a small gathering of 300 people. This was my first experience with Slush. Arriving there was like stepping into the future. There were cool startups and new inventions everywhere you looked. It felt super inspiring and motivating to see what these intelligent and innovative people had come up with, to help other people and the community. Even being there for only one day, the minute I walked in, I was convinced that I would come back next year. In one stage, there was a pitching competition where the participating startups had to present their ideas in six minutes and answer questions from a panel of judges. One of the themes was Global Impact. Most of the startups were somehow supporting and helping people in developing countries. Some of those startups were, for example, helping people get fair jobs in their own countries, others had solutions for reducing pollution, food waste or disease. Another stage hosted the science pitching finals. Amazing and unbelievable ideas were presented. Most of them had something to do with medical care. When the judges were having a break to make their final decision on the winner, Torill Kornfeldt came to the stage to talk about "bringing extinct animals back to life". At first, I couldn’t believe what she was saying, but then I started to understand. Genetic Science has developed so much, that we can actually do this. Even though some species are extinct, we are able to collect their DNA even from fossils or well-preserved remnants. We can then"plant" those genes into a similar animal. Of course, the species will never return to existence exactly the way they were, but something close. Will we see a mammoth walking on earth again? The main trends included analytics and artificial intelligent (AI). There was in fact a lot of startups that were depending on and taking advantage of the AI. There were also several startups with products or services for children, but as I far as I could see, my sister and I were the only kids there. Those startups could really use a children’s opinion since they are the ones to use those solutions and programs. 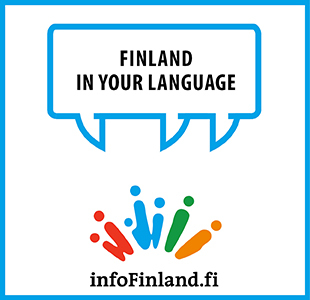 The problem is that for some Finnish children it could be hard to understand English, which is the official language of the event. Other than that, Slush would and be an amazing and inspiring experience for kids too. There could be a cheaper ticket for children specifically, and why not have a special stage or section for kids, where schools could bring their students to learn, participate and give feedback to startups?